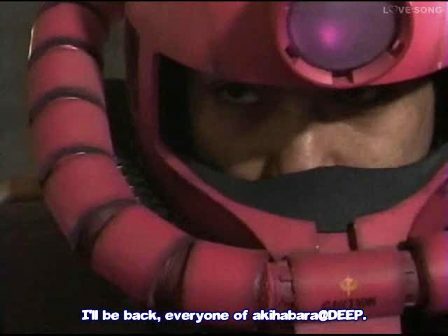 Page calls all the members back to the @DEEP offices, to explain why he shutdown Akihabra@DEEP. 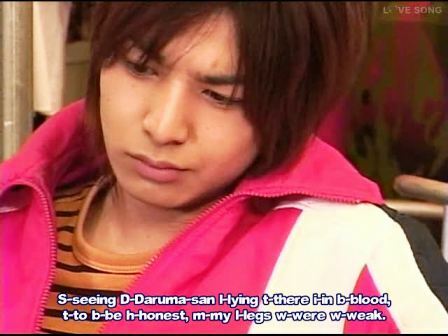 Basically, he was afraid to see his friends get hurt or worse. And to also get hurt or worse himself. to his surprise, even though they were angry with him, they were also thinking the same thing. 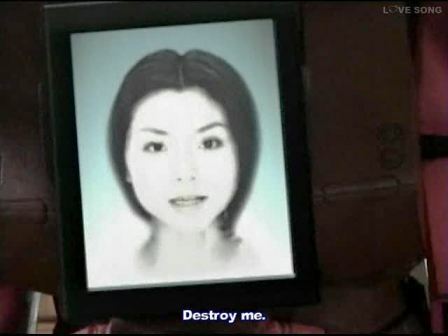 Acting on information from Azita, who tells them about Akira’s break in, they hack into Digital Captial and find a video recording of Akira’s fight and capture. 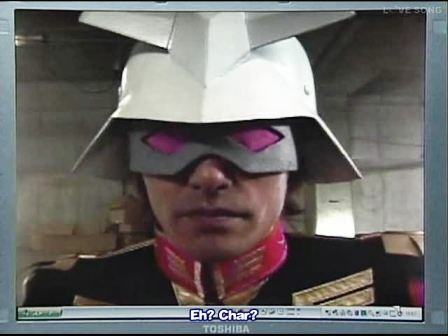 They then get a video email from Nakagomi (dressed as Char). 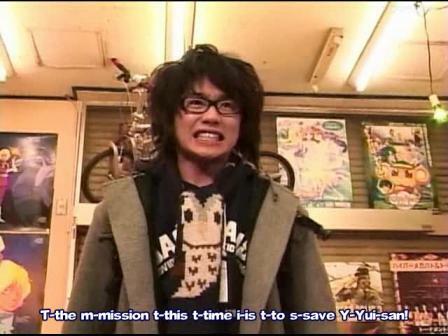 In it, he shows them an unconscious Akira (dressed as Rei) and Yui. In Nakagomi’s office, Tousaka tells Shimoyamagi that he hacked into the company’s financial data and found evidence of Nakagomi cooking the company’s books, making it seen that they were more profitable then they really were. He then makes Shimoyamagi an offer he can’t refuse. Back at the @DEEP office, the remaining team members get weapons (a Dragonball staff, and electric shock gloves) from Azita. They then head off to sneak into Digital Capital. As they rush off, they see a group of tv news crews gathered at the front of Digital Capital. It turns out that Nakagomi has ousted and replaced by Shimoaygami (with Tousaka’s help) and that there’s an arrest warrant out for Nakagomi. The @DEEP group use the gathered tv news crews as a diversion and sneak into the company. Right then the police show up and arrest Shimoyagami, as the CEO, for fraud. The @DEEP team get into the building’s basement and run into Nakagomi’s security guards. 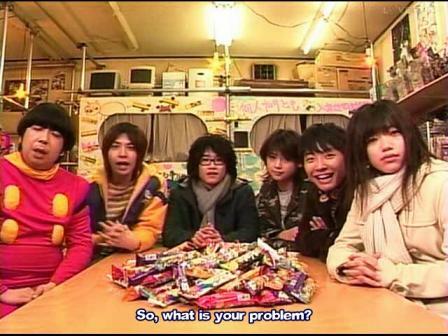 After the fight, Izumu, Page, Taiko, and Box keep looking for Akira. 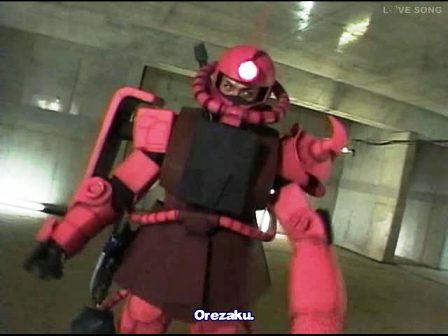 As they look, they’re ambushed by Nakagomi, wearing a powered replica of Char’s Zaku mobile suit. 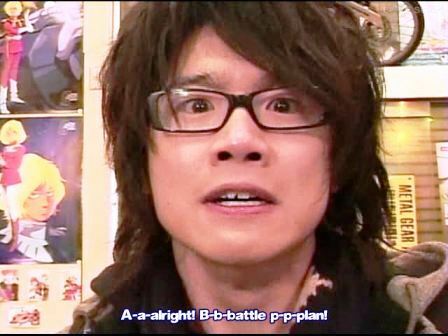 Nakagomi rushes in and starts attacking them, beating them up with the power of his armor. 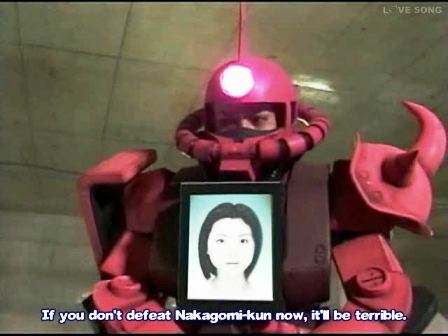 After beating them down, Nakagomi turns on a lcd that’s embedded in his armor. On the lcd, the @DEEP team see Yui’s AI. 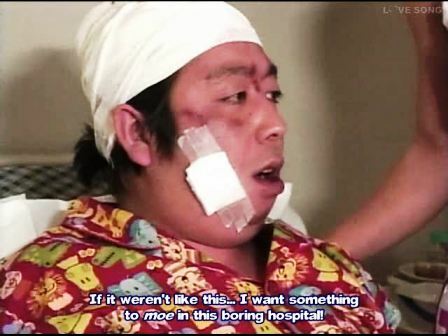 Nakagomi warns that if Page and Box use their electric gloves on him, they’ll kill Yui. Yui tells Page to destroy her and save Akira. She tells Page and the rest of the team that they’ve changed, because of their friendship with each other, that they’ve become stronger people. 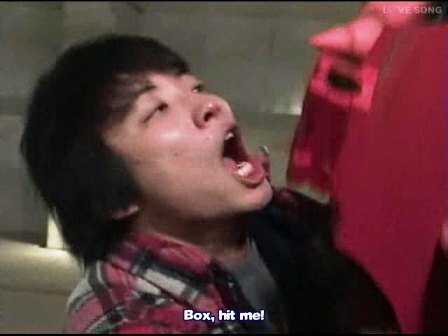 Nakagomi starts attacking Page again when Taiko rushes in and grabs Nakagomi, shouting at Box to hit him with his electric glove. 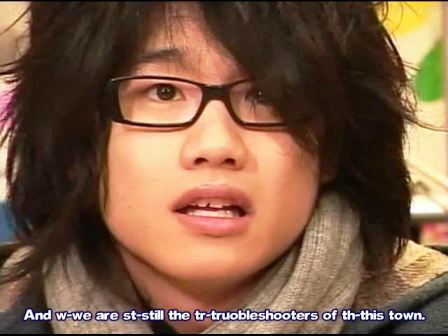 Box hits Taiko and shocks him and Nakagomi, making it impossible for Nakagomi to move. Page comes and finishes Nakagomi off, immobilizing his Zaku armor. The electric lock on Akira’s cage unlocks and Box runs over to get Akira out. 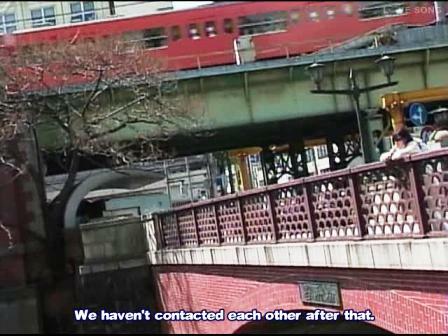 As the power run out, Yui says her good bye to the team and tells Nakagomi, that money can’t buy friends. 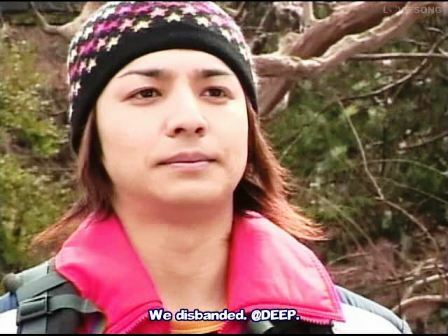 After Yui’s power runs out, the police rush in and arrest Nakagomi, who warns the @DEEP team that (like all good[and stereotypical] bad guys) that he’ll be back. I just finished the series now. That was great, especially when a special costumer came to @DEEP at the end of the episode. 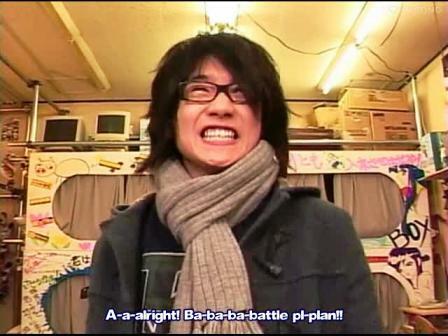 it’s like Big Bang Theory in Japan … only it came first (and well true to the emo thing, too).